Zumba with Dance and Health have been named a 2018 Visionary Award winner by MindBody! It is such a privilege to receive this award. It is a result of hard work, dedication and always putting our customers first. 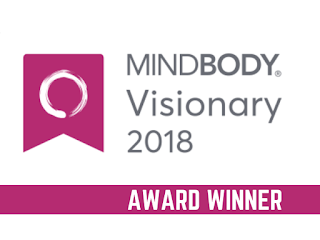 “The MINDBODY Visionary Awards are our way of celebrating the businesses owners we serve, for both their success and for how they translate that into helping their communities live healthier, happier lives,” - Rick Stollmeyer, MINDBODY CEO and co-founder. We are super proud of our team of instructors who are playing a huge role in this success.